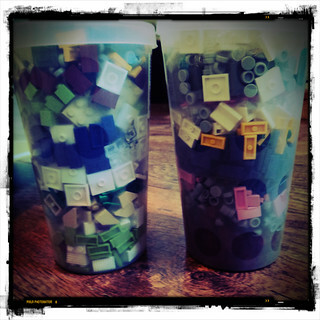 Some of my best days are those when we go to the Lego Shop. 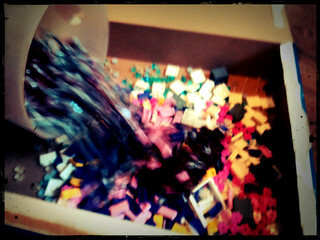 It’s a relatively small thing I know, but I’ve been finding it deeply satisfying and leaves me with a grin on my face. We’d been planning to go back again for a while. I’ve been saving up for months for Metalbeard’s Seacow – the massive pirate ship from The Lego Movie, and how can one possibly sit still with all that money desperately trying to escape from one’s pocket? It would be terribly uncomfortable. We arrive at the Meadowhall train station, and seek out food. This time we went to the really quite excellent Handmade Burger Co. I had a Stuffed Burger with Mozzarella & Sun Blushed Tomatoes, which was succulent and lovely. They do a range of local bottled Real Ales which was a complete surprise, and very welcome. Oh, and the staff are incredibly friendly and nice. I liked it. Then we go to every other shop we’ve the slightest interest in. This time that took us past the Lego Shop an agonising four times. I was displeased. I can’t stop being enthused by the wall of bricks. 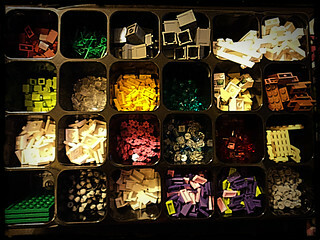 It must be a combination of tactile and visual stimulation, the challenge of packing as much Lego in as possible and the very real visceral joy of pouring them out and re-sorting them at home. Gets me every time. On this occasion the Legoey folks outdid themselves. On top of the many wondrous colours of tiles (I can never have enough) – pink, purple, green and yellow and white (modified with stud-holes). They have grey levers (a handful is a lot of levers), and some odd bits like the grey crates, fences, windows and doors and staircases. I had very few of these things before… now I have many! The crates especially only seem really useful if you have quite a lot of them. I got even more square white tiles as I’m building a space cube that needs to be lined with the things. 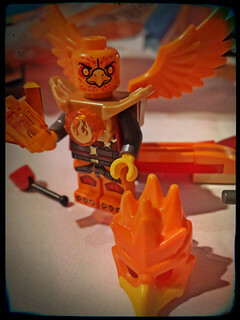 We have a general talent for missing the best freebies at the Lego Shop, but this time we did alright. 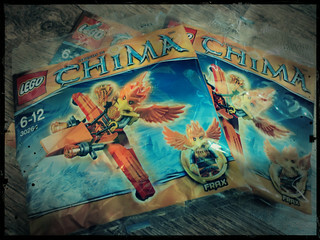 I love Lego Chima, especially the crazy helmet/heads (I’m really not sure which they are, which is rather creepy). Since we bought the *cough*Seacow they saw fit to toss a whole bunch of these little geezers into our bags! This little dude (Frax) is superb. I’m impressed with the new fire and ice theme, and even though his vehicle is quite crap in its own right it does have lots of lovely curvy pieces in it. Also – look at that mental face! I cannot possibly describe the jealousy with which I read this post. 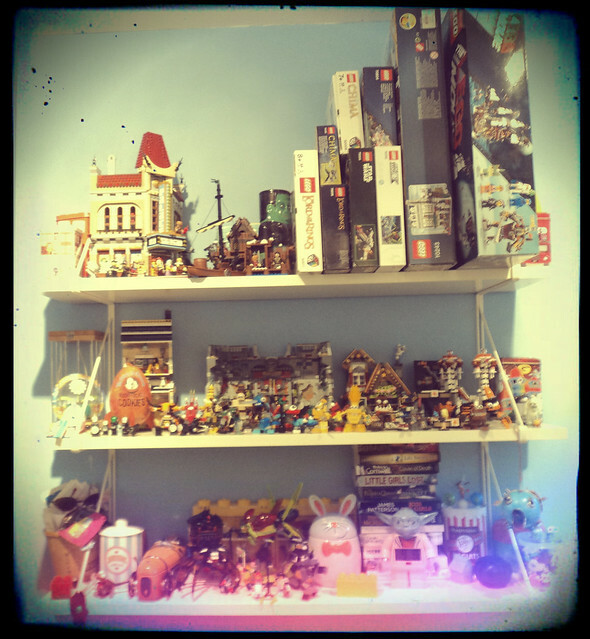 The last trip tot he Lego store was too long ago and I feel the cravings in my bones. I always love the brick wall, even though I haven’t built anything of note, other than clear stands for my Star Wars mini-ships so they look like they are flying in space. 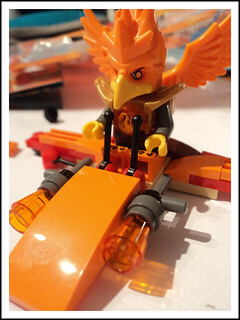 You got to get that Lego fix dude.